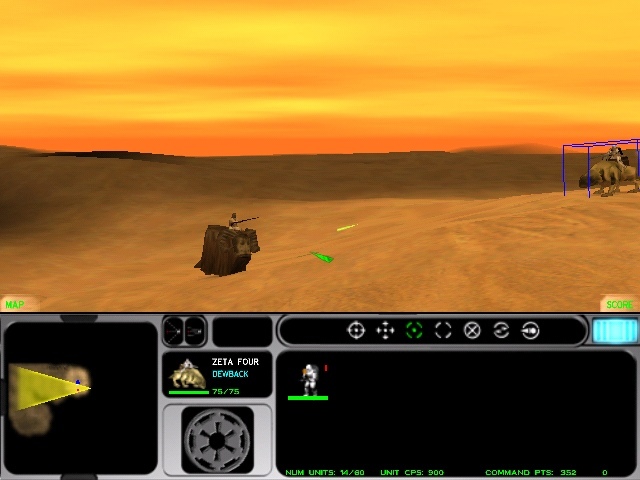 Force Commander was the first game, where we could fight Tusken raiders. 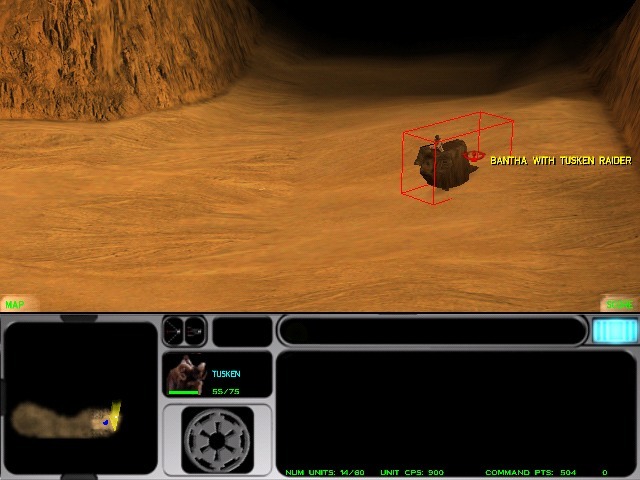 Later on several games applied tuskens as enemy NPCs, but Force Commander gave us this excitement first time. In addition, the game gives us different services of them, and they work together in harmony, coordinated as a mini non-regular army. It is an interesting experience to fight them, especially because they come early in the game, mostly during the tutorial levels. While we are on Tatooine, we learn the basics of the game, so we are a bit inexperienced, and kind of weak, so we can practise on them, and make our first steps as an imperial commander. We control Dellis at this time, who is Bren Tantor’s brother. Also, we have the men of Zeta Squadron, who arrived here to find the runway droids (C-3PO and R2-D2). But our training will be soon interrupted by a tusken scouting party, who will be quickly destroyed by the dewback troopers and the brave strormtroopers of Captain Terrik and Davin Felth, but with this loud shootings they attracted the attention of other tuskens, who will attack them in waves from now. There will be infantrymen with gaderffi stick, snipers with rifles, and mounted units, tuskens on banthas as a kind of cavalry. So we can play in the great Force Commander with infantry, cavalry, and if we count the armored units, and artillery units later on, the will be plenty of different services that we can control, much much earlier than later games will allow us. We could see tuskens with Gaffi sticks in the movie, for example in that scene, when they attacked Luke Skywalker who felt unconscious after hitting his head into a rock. A tusken got behind him while Luke was scanning the region with his electrobinoculars in the other direction searching for his droids. The tusken surprised him when he suddenly emerged in front of the young boy, who couldn’t do anything, just tried to protect himself with his rifle, holding it in front of him, but the tusken broke it into scrap with a single large hit. Then the tusken held his stick above his head shaking it with the joy of easy victory, while shouting a glorious cry, which is similar to the donkey’s. 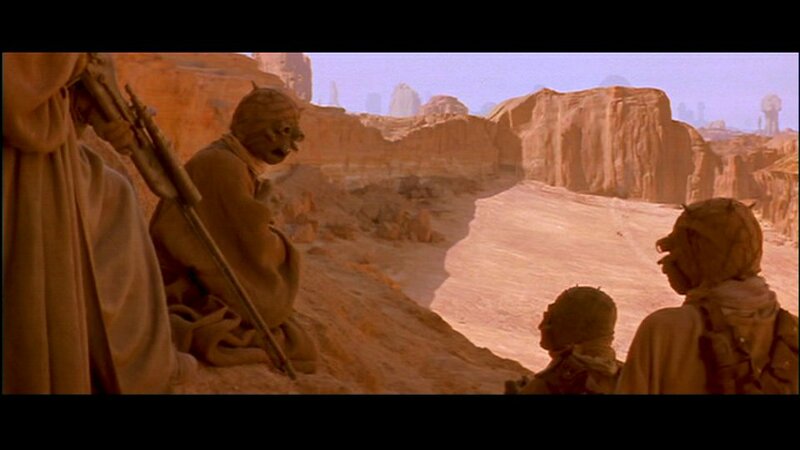 This cry, this shout later became epic and cultic, becoming the authentic cry of tusken warriors. Where the tuskens approach, at least one of them makes this battle cry. So in the game when they attack, or when you click on them, this battle cry can be heard. So this infantrymen form the backbone of their army. 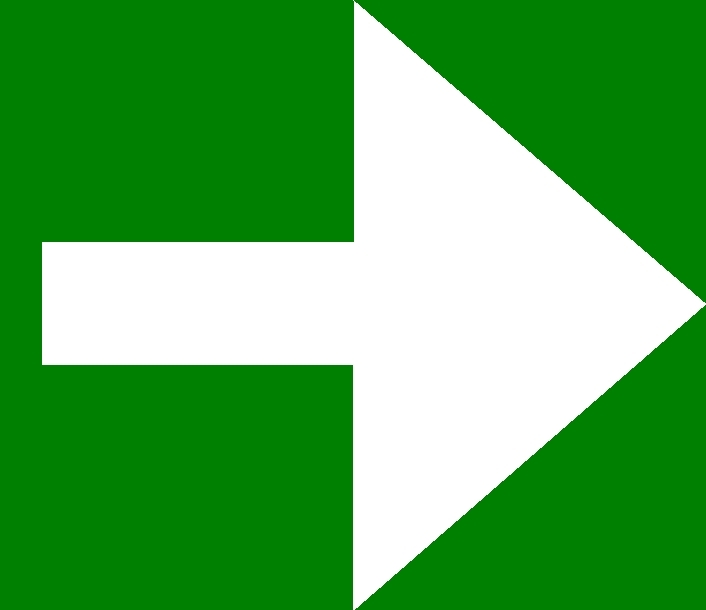 The will come in groups of three or four, but sometime they are less, or more, depending on the battle situation. Their small icon always shows them with gaderffi stick, but from distance, they will shoot like the snipers, keep in mind! It has to be necessary, because from distance the melee units couldn’t hit the player, so they shoot from distance, and attack melee when in close combat range. And with this we continue with the riflemen. These tuskens like to hide under cover, waiting for their prey. Their favorite place is on hills, where they lie down at a good place, and wait. Their or not the best shooters, but they are persistent at waiting, sometimes in smaller groups, sometimes alone. Their long rifles are dangerous, because they can shoot pretty far, and hit a large impact. We could also see them in the movies, several times. One of them one tried to kill Luke from a distance, but a fellow tusken stopped the shooter, and they rather attacked the boy with gaderffi. Also, they shot the podracers while the Boonta eve race. 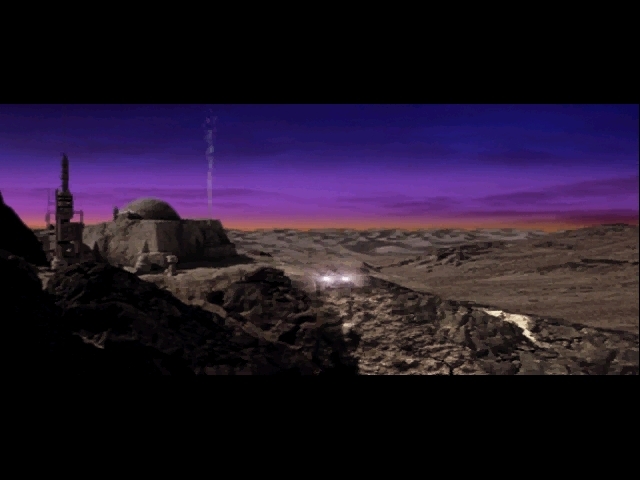 When a podracer approached, they started shooting at it, while finally they managed to destroyed one. The podracer hit in the ground, leaving valuable debris all around. 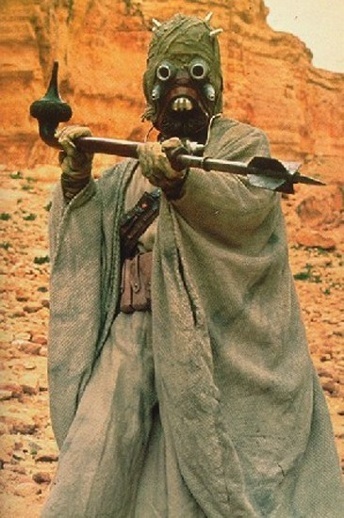 The tusken raiders collect these parts, what they use for own purposes, or sell to others like jawas or local settlers. 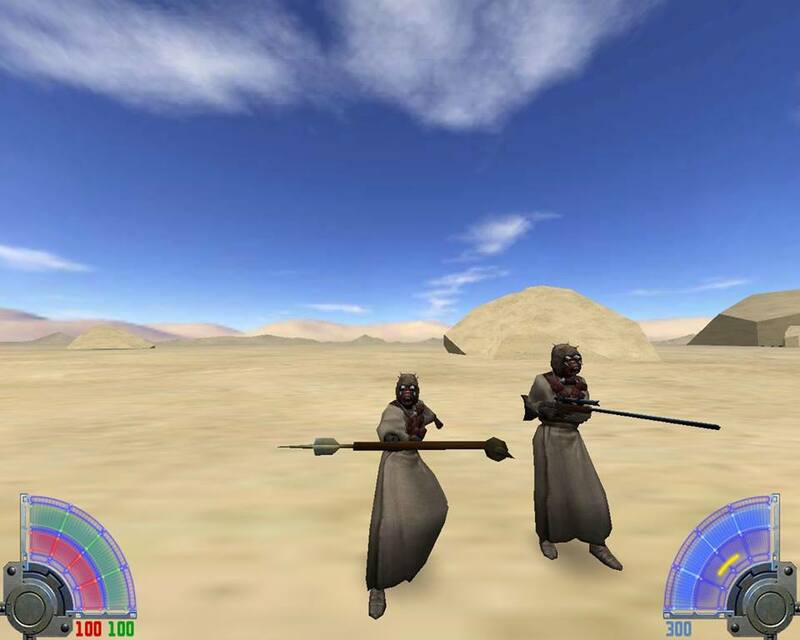 This is why they are called tusken raiders, they often raid non military targets, to get some loot. While in combat, the tusken snipers also make a good use, they support their infantry from a distance by killing the enemy while they are far away. They attacked Dellis Tantor and his squad, often from hilltops, from rocks above, from the Beggar canyon, and from other good sniper positions. These snipers are really dangerous, because it is not easy to spot them, and if localized, that is not easy to answer the fire. Mostly the Dewback troopers or the AT-PT-s are able to shoot back from that distance, because they are taller than a stormtrooper, and can fire further, but if the sniper lies in cover, or inside not on some ledge, you will have to send up your stormies to search and destroy the snipers. But keep in mind, while they climb on the hill, you will suffer more casualties, but after the troopers reached the snipers, they will have no chance against your imperial stormtroopers. Finally we can study the bantha tuskens, who were previously mentioned. They are a kind of „cavalry” units, or let’s say mounted troopers. They have a large line of sight, they can see and fire for an extremely large distance. Like your dewback troopers, who are also such mounted troopers with these capabilities. But since we only have 2 dewback troopers, the bantha tuskens will give the tuskens the upper hand. Keep an eye always on your dewbacks, protect them, and if it is possible, send your stormies ahead, while the dewbacks cover them from the back, answering the bantha tusken threat. 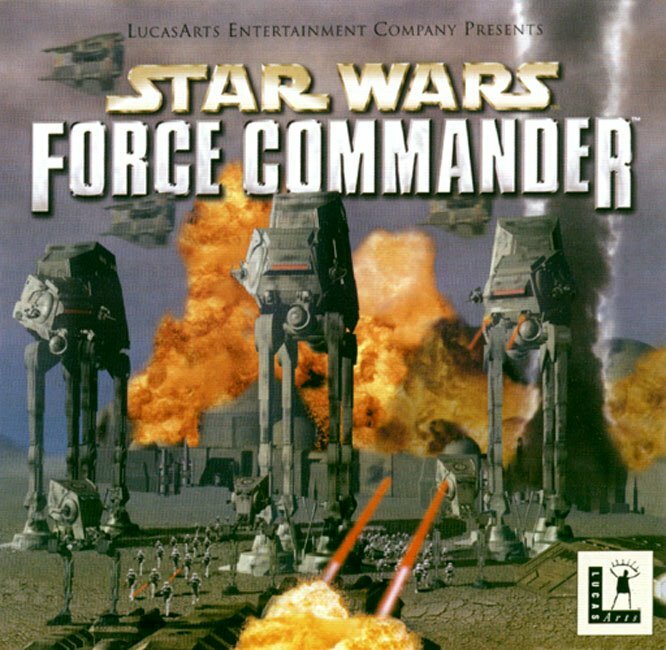 It is easy to achieve, because the Force Commander game is a vintage pearl. 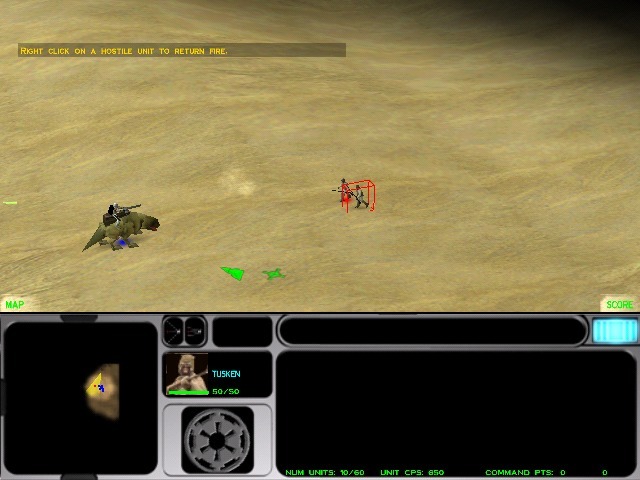 Its AI always attack the first saw unit, so if you send 2-3 storrmies ahead as a scout party, the tuskens will notice them first, and will concentrate their fire on them, instead of your dewbacks. So you will have enough time to spot the snipers, and to reach them, while they are busy to kill your scouts, you will reach the distance that gives you the perfect line to finished them off. Also, the remaining stormtrooper will reach them soon, and with this combine fire your squad will easily kill even a larger tusken group of melee and mounted units. 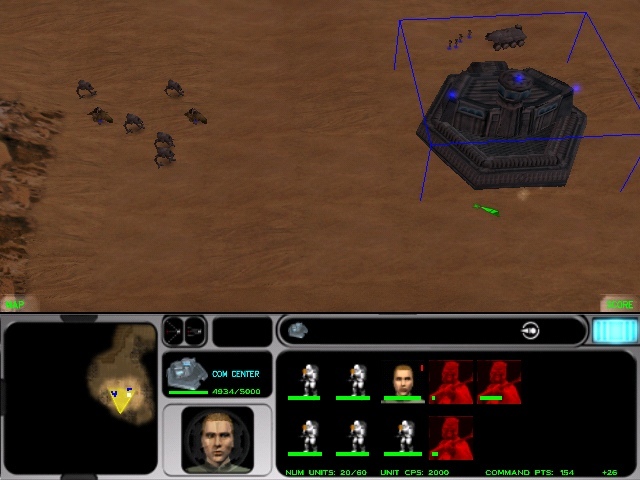 It is an important tactic, because there is NO command post in the first levels, you CANNOT order reinforcement, you will have to use what you get in the first level, which is not too much. You will have what was brought by the Zeta squadron and some extra units what will be given later on as an additional reinforcement. Only at the third level, after killing plenty of tuskens and jawas, you will be able to order, since you got a command post finally. You will have to find the runaway droids, who was told to sold by jawas to some local settlers, but from there the droids also disappeared, very probably to an old hermit’s house, some Kenobi or what. So you have to search that house, but the region is seriously infected with tuskens, who will attack from south all the time infinitely. So you will have to split your army into two, there is an expedition army needed, and a guarding squad, who will stay home, protecting the HQ. 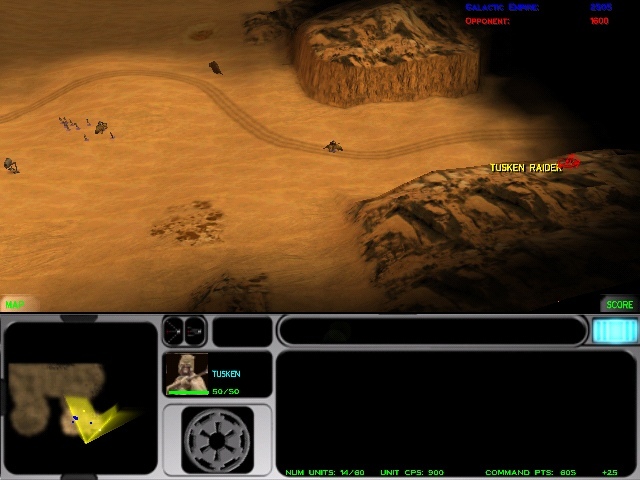 The expedition army will advance slowly to the target area, while killing the tusken raiders, which gives us a constant money, or in this game, command points to spent on reinforcements. So this is why protecting the HQ is vital, that is the only place, where you can contact the orbiting star destroyers to send reinforcements. If the base is lost, there is NO other possibility to order! So it is vital to protect it, or if lost, come back with the expedition army to capture it back as soon as it is possible. The tuskens are bold and fanatic enough even to breech your imperial HQ, I made a screenshot, which shows several tusken IN my command center! But if you stationing some troopers inside, practically 6 stormies, the tuskens will be killed easily, because you know the place well, and your arms and training is better. 6 stormies and 6 tuskens fit in the HQ, but it is a good idea to send Dellis in, too. First, he is vital to survive, if killed, the mission is failed. So do not send him away with the expedition army, it is more dangerous, then placing him in the HQ with 5 stormies. He is an advanced trooper, so his life points are very high, in these conditions he is a perfect choice to be put among the defenders. Also, his shot damages a larger amount, so he will repel ALL attack throughout the level with the 5 stormies. Just change the injured stormtrooper down with newly ordered healthy ones all the time in the HQ, and place the injured in front of the command post, so they can damage the continuously coming new waves of tuskens, who will have some damages before they breech into the HQ, just to Dellis and the 5 other stormies finish them out. Bantha troopers cannot infiltrate the HQ, only infantry, who are no match with this strategy. With this custom figure, I remember the game experiences. 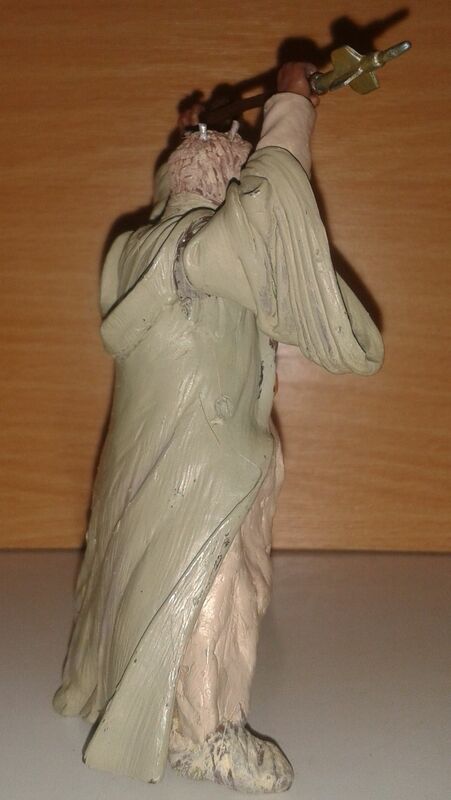 First I placed my custom tusken into the typical gaderffi shaking position above the head. It can be a great illustration for the melee units. Second position is a rifleman stance, with a large bantha killer rifle, that is a good one for the sniper tuskens. 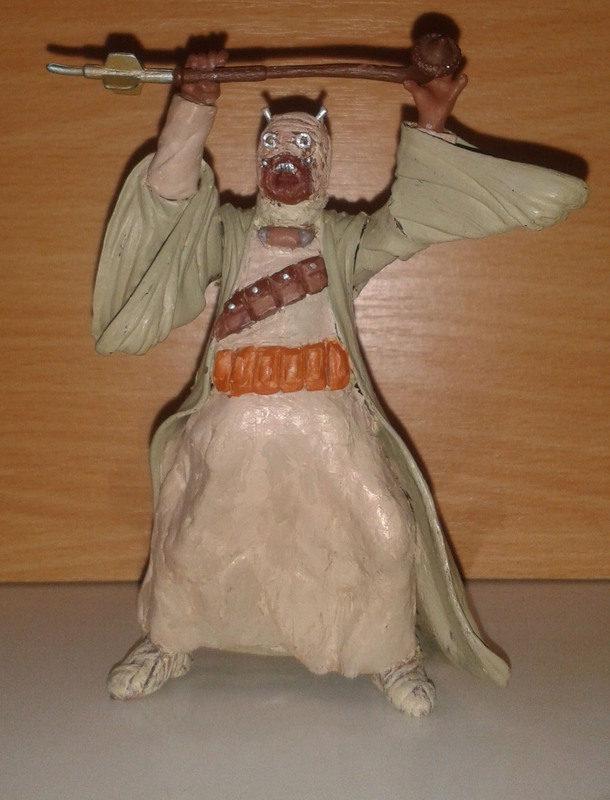 This is a specially painted, handmade custom tusken figure. 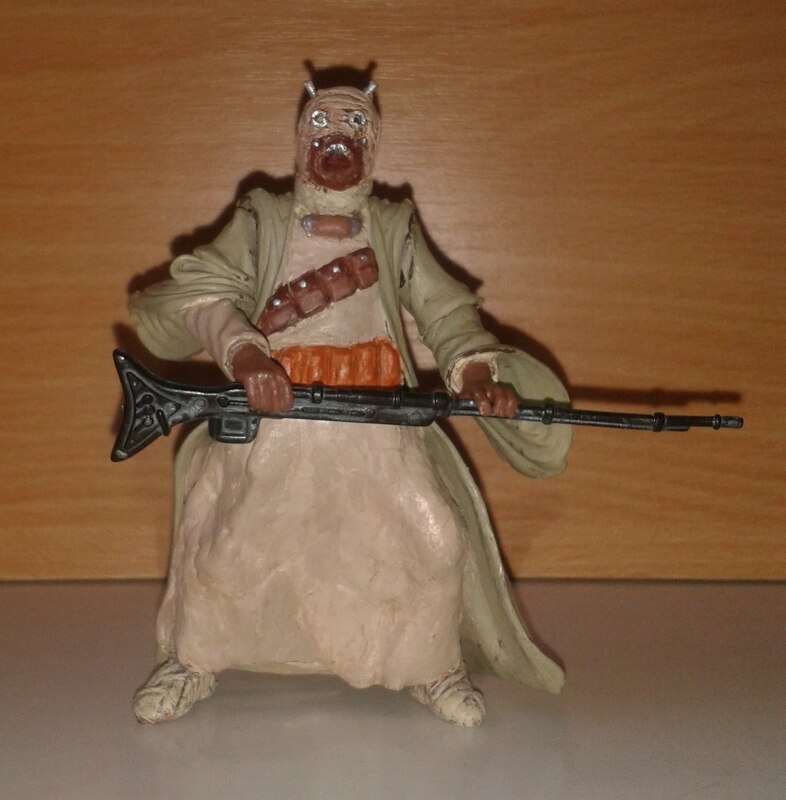 Take a look at my Custom tusken raider figure.